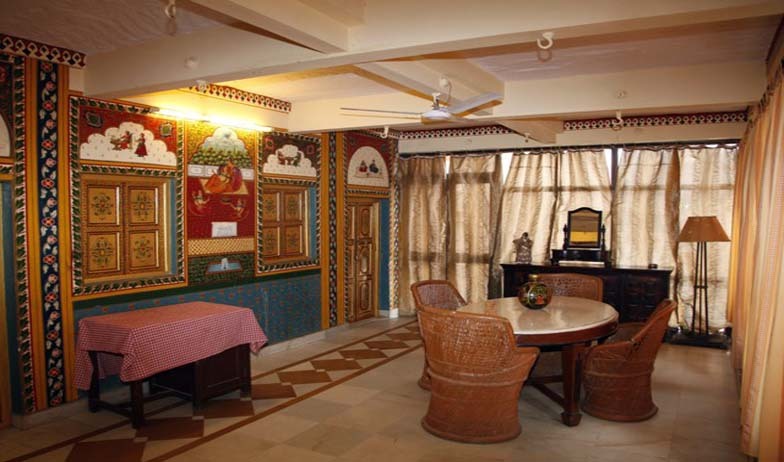 With 28 royally designed rooms and suites, Krishna Prakash Heritage Haveli is one of the most beautifully designed and well maintained heritage hotels of India. 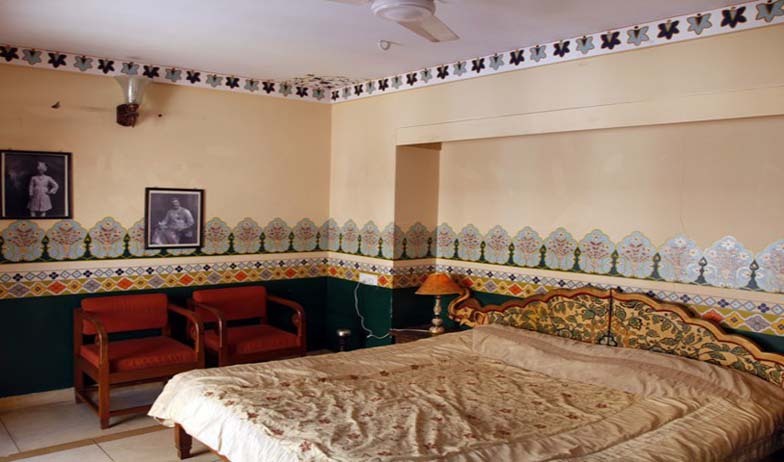 This three star propetty offers its residents a spectacular view of the Mehrangarh Fort and UmaidBhawan Palace. 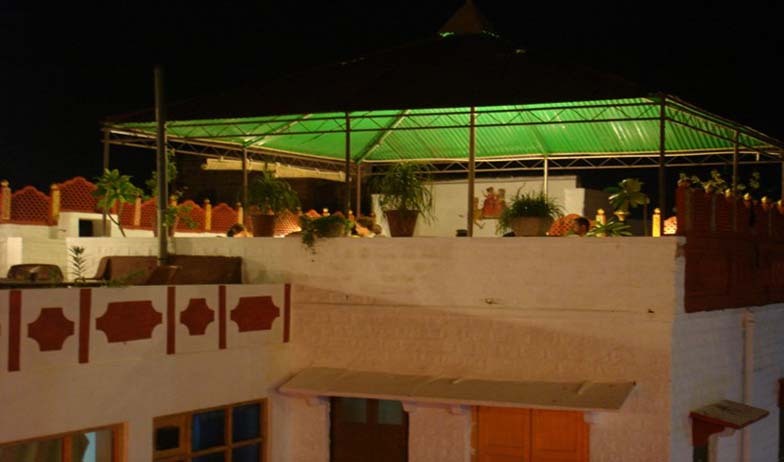 The hotel is just 2 kms away from the Jodhpur Bus stand and railway station. 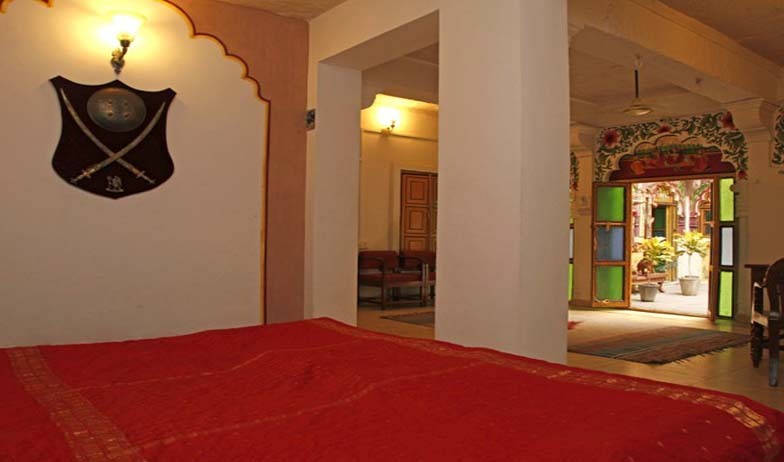 The hotel has excellent banqueting and conferencing facilities for its business travelers. The hotel also arranges tribal dance performances, fireworks and barbecue meals. The Ayurvedic massages offers at the personal spa are very rejuvenating and refreshing. Other facilities of this hotel are laundry service, doctor on call, car and bike rental, beauty parlor and a 24 hour front desk. 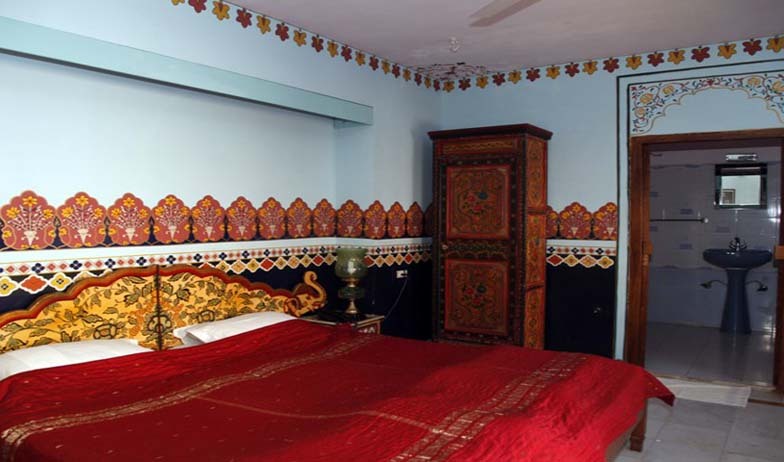 The deluxe room is the most prefers guest house among the single travelers and the ones looking for an overnight stay. 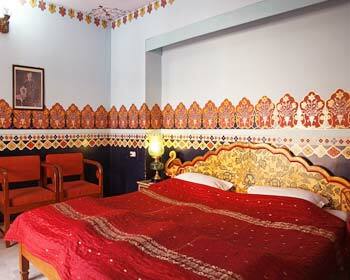 The air conditioned room comes with elegantly designed furniture and some genuine fixtures and antiques. The Color cable television is a good source of entrainment and keeps the guest connected with the outer world. The other amenities of the room include an iron with ironing board, private bathroom with toiletries, work desk, luggage storage, tea or coffee maker, running hot and cold water and a direct dialing telephone. 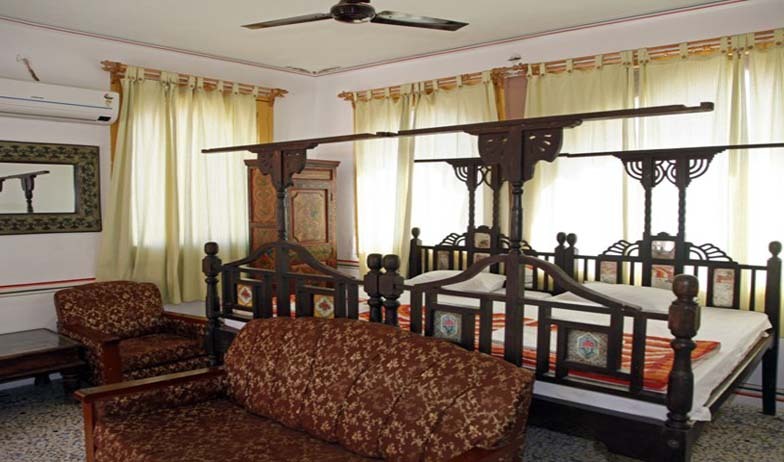 The Royal room comes with a huge double bed which is decorated with rich and colorful fabrics and cushions. 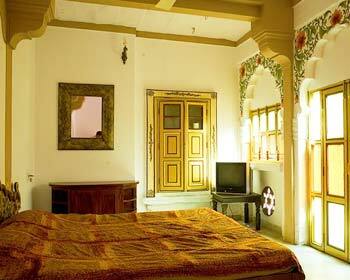 The large bay windows offer the residents a view of the UmaidBhawan Palace and the Mehrangarh Fort. The super deluxe room is designed with the same furniture that was found when the havelli was first unlocked for renovation. The LCD TV comes with a variety of local and national channels to entertain the guests. The en suite bathroom has a shower cubical and all required bathroom toiletries. The work desk comes with an ergonomically designed chair and all required stationary. The other amenities of the room include an iron, mini bar, luggage storage, tea or coffee maker, electronic safe and a direct dialing telephone. Guests can start off their day with a breakfast at the dining hall of the hotel. 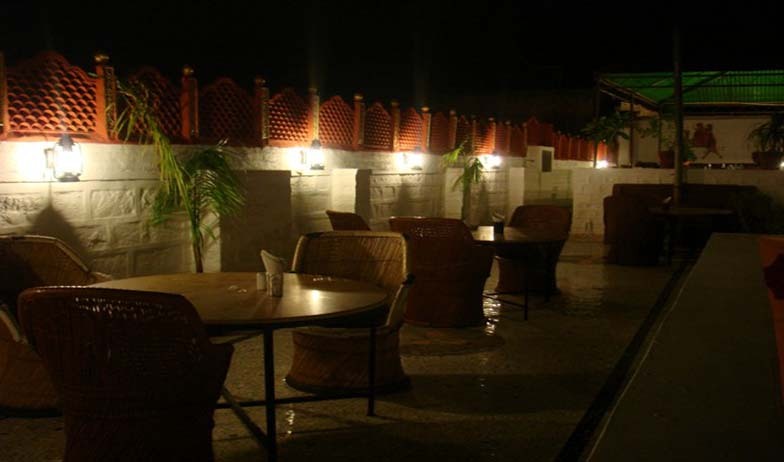 The place serves some mouthwatering Indian and international dishes in its a la carte menu and also has a buffet option. 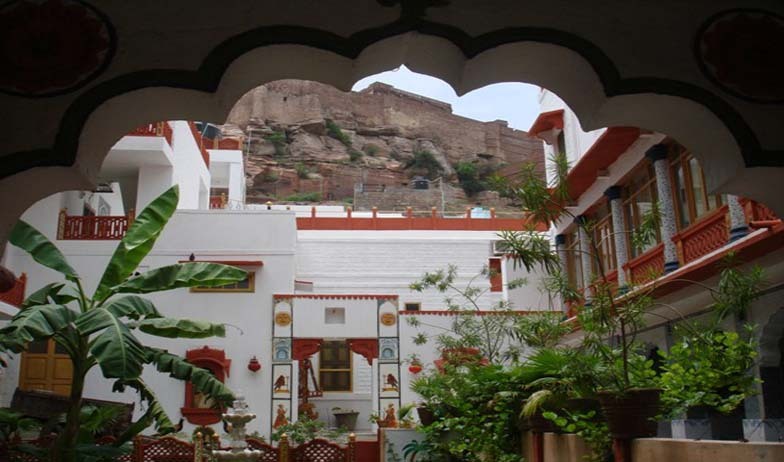 The guests can also gorge on to some lip smacking local delicacies of Jodhpur while enjoying the view of the majestic Mehrangarh fort.